Your wedding day should be just that. A wedding. Not a day to just get dressed up for an all day photoshoot. My aim as a wedding photographer is to deliver authentic, honest photos that tell the story of your wedding. Yes, we will make time to take some beautiful portraits of you and your brand new spouse, your families, and your wedding party… but that will be just a small part of the telling of your whole day. My documentary approach allows you to spend as much time with your friends and family as possible. My job is to be diligently watching for those moments of love and joy to unfold, and to capture them. I shoot with two Nikon DSLR’s and have a third, backup body that I bring to every wedding. I have a collection of lenses, some flashes and a little bag of miscellany that I can use to do some fun in camera tricks with. I also am insured, so if your venue needs proof of insurance I am happy to show I am covered. DO YOU SHOOT OFF A LIST? A list of desired family photos is very handy, but other than that, I do not work off a list. I think it is important to take 10-15 minutes after the ceremony to do some family photos with your family. These are the photos your Grandma will print and put on her fridge. 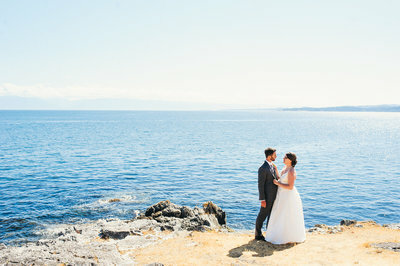 I am based in Victoria, BC and shoot a lot of my weddings here on the Island. However, I was born in California and frequently photograph weddings all over Northern California including Sacramento, San Francisco, the Greater Bay Area, Sonoma, Napa, Lake Tahoe, and Mendocino. I have also photographed weddings in Washington, Oregon, and Utah and would be happy to travel to your wedding wherever it is taking place. DO YOU OFFER HALF DAY OR HOURLY COVERAGE? My minimum package is 6 hours. 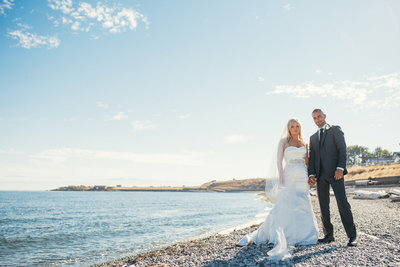 Wedding Packages on Vancouver Island start at $2795. Weddings in the Greater Bay Area start at $3799. WE ARE ELOPING, DO YOU PHOTOGRAPH THOSE? I love shooting elopements and have a special 2 hour minimum package that I book out for small weddings. I don’t book elopements on Saturdays from May – October more than a month in advance. HOW LONG DO WE NEED FOR PORTRAITS OF THE TWO OF US? The majority of the shooting I do is documentary, just capturing your day as it unfolds. I do however love to take 45 - 90 minutes to get some photos of you with your brand new spouse and any wedding party you might have. The time set aside for portraits can vary depending on how important these portraits are to you, where you want to do them (ie how much travel is involved) and when during the day they are going to take place. I would be happy to go over your timeline with you and work out best when, and where the portraits fit in. I AM FEELING SO OVERWHELMED BY THIS WHOLE PLANNING THING! HELP! I totally get this! You haven’t planned a wedding like this before and there is a LOT to do to put on a party of this size! I am always happy to help however I can. 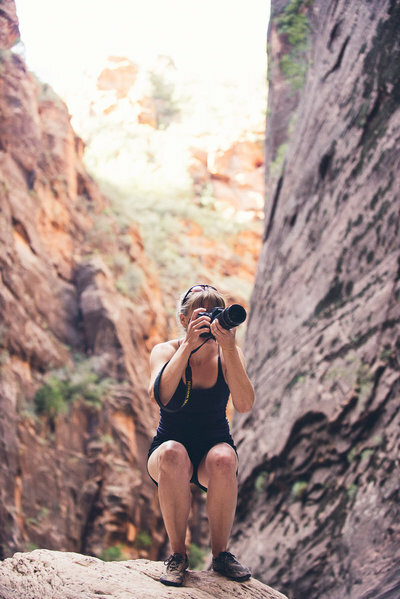 I would love to talk to you about your timeline and how photography will fit into the day. I am also always happy to recommend vendors I have previously worked with, if you are still searching for a florist, hair or makeup artist or caterer. In fact I have done a whole series on my blog highlighting some of the local talent we have here in Victoria. You can see all those posts here. OF THE DAY TO PHOTOGRAPH? At some point during your wedding day you are going to be bombarded with hugs from all yours guests. This isn’t the most creative thing to photograph, but it is a beautiful reminder to me of WHY people have weddings: you are bringing your community of friends, and family, together to celebrate your life together. And it’s a pretty special thing to get to witness.